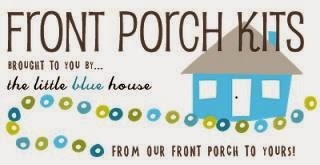 Well, welcome to the Blog Hop and Shop for My Favorite Things! I hope ya'll are enjoying the hop. If you came all the way from Kim's blog, you're in the right place. If not, I highly suggest it so you don't miss a thing! Here's my Snowflake Flopsey card. I really love this color combo for Christmas. I think I remember making another card last year for My Favorite Things using the same one, only adding a bit of yellow! I added a snowflake from the new Let it Snowflake Die-namics die. I LOVE that thing. I colored Flopsey this time with Prismacolor Pencils and blended it with OMS--something I love doing. I also did up the inside this time because that sentiment is so cute. Sort of looks like a business card in there! LOL! 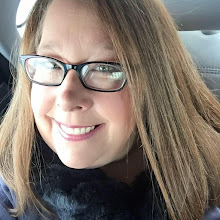 Ok, time to hop on over to Kerry's blog where she's got some sweet goodness! LOVE the addition of the button on the snowflake die! CUTE! Fabulous, Susan! You always use such happy colors--awesome card! Love how you used the notebook edge die on the front! LOVE your flopsey card! Love the colors! And all that texture! And Flopsey!!! My kind of tool-intensive card!! Love it. Terrific card!!! "Snowflakes are like cards... each one is unique"
Fantastic card, love the way you put it all together! Oh this is adorable, a kraft snowflake! too cute! What a sweet bunny! Love the snowflake die, too. Can't decide what to buy first! I love Flopsey's ear cut out from the circle. Very good job. I always love your cards and this one is no exception. I love the overall design and the colors. This is a FUN FUN FLOPSEY Susan!!! Yes, I would re-use this combo too, it's great!!!! Too, too cute. I love the off-center layout, really makes things pop, and the color combo is so festive. Oh how cute is this? 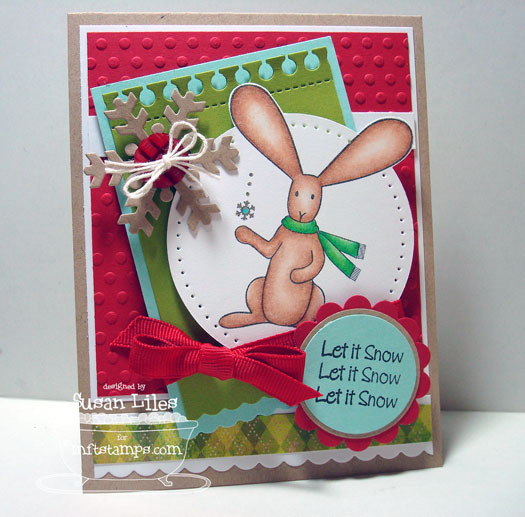 Love this little bunny and the snowflakes. I am so excited for snow to come! gorgeous creation! love the layout and your kraft snowflakes.....ahhhh! Cute little bunny. I love how you put this All together! 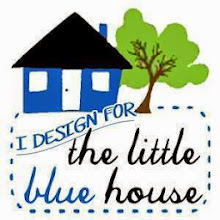 Wow, this is a fabulous design!!! Loving the kraft snowflake with the red button! 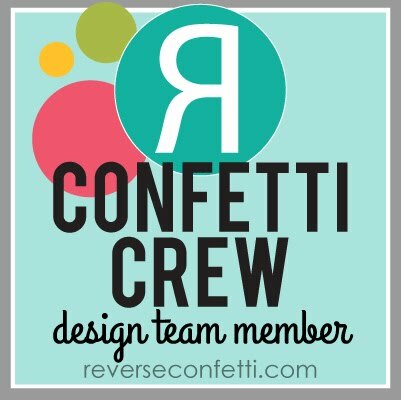 Love your layout..love everything actually! LOL! 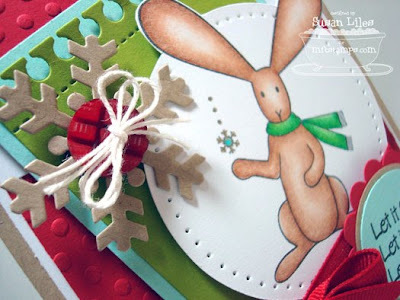 Oh I just LOVE Flopsey - and your color combination in this card too! How adorable! Love the color combo & coloring! I just love Flopsey! I love the card you created with him and its color combination. I hope you and your family are well, I continue to pray for you every day. Love Love that BUN!!! and what a great snowflake!!! Very cute!! Beautiful!! Love the kraft snowflakes!!! Wow that card is fabUlous!! So cute! I like the snowflake and button as well. Such a fun bunny and well coloured. This is completely cute Susan! !